Unlock (not provided) keywords with Roy App's Keyword Provider plugin. 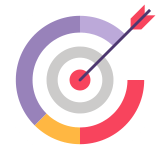 Remember, keywords are estimated from a probability distribution based on factors such as historical data and trends, and may not always be entirely accurate. 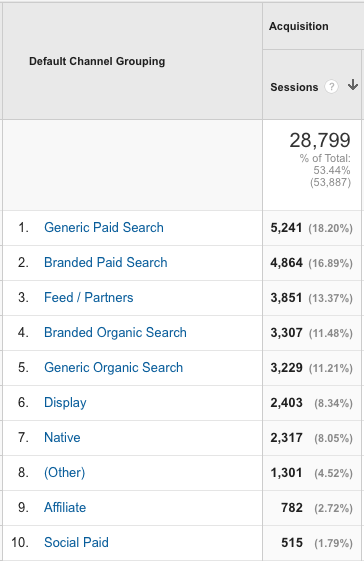 Usage: See your current organic keyword traffic. 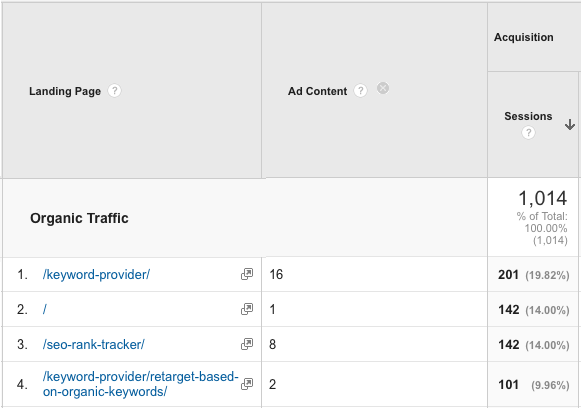 Usage: See your organic keywords! There might still be a (not provided) row in this report. Some keyword traffic is difficult to predict, thus there will not be any keyword data, and the row will persist. However, the percentage compared to before should be way way less. Under Admin, select View > Channel Settings > Channel Grouping. 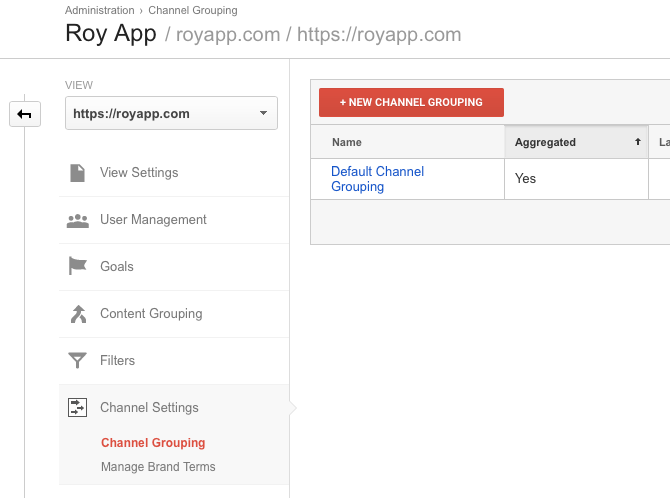 Edit your Default Channel Grouping. Add a new Channel Definition at the top. Call it Branded Organic Search. Add one rule, Keyword “matches regex”. We’ll use the regular expression: roy. ?app, but you should use whatever matches your branded keywords. Change the name of the Organic Search definition into Generic Organic Search. Ensure Branded Organic Search is before Generic Organic Search. Segments are great for comparing things – like comparing generic and branded organic traffic! First, we’d like a segment which captures all of our brand. We use a regular expression (regex) that will capture different spellings of Roy App. Under Conditions, create a Sessions Include filter. Set Keyword “does not matches regex”. 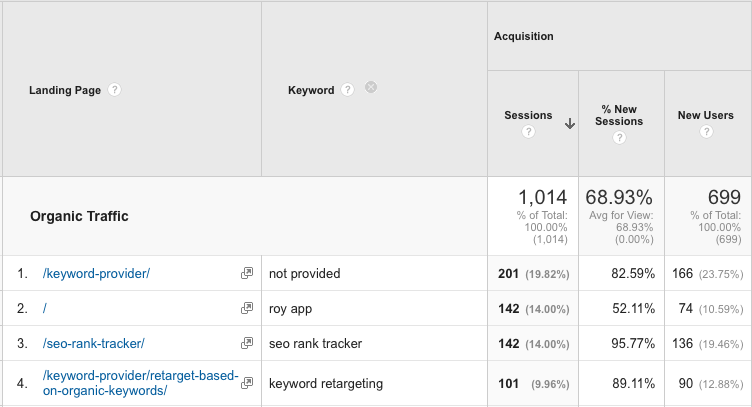 Usage: See how different reports are affected by what ranking position the landing page had at the time of the session. Usage: See which landing page traffic originated from which organic keywords and ranking positions. Apply the Organic Traffic segment. 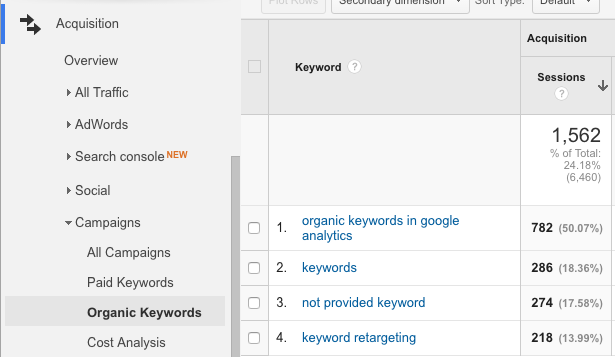 PREVIOUSSearch Console vs. Keyword Provider: What’s the Difference?